To ameliorate the suffering of victims of violent crime. We believe that our State's use of the death penalty, rather than advancing these goals, justifies violence and exacerbates the suffering of the victim's family and friends. Our proposed alternative for the crime of aggravated murder, life in prison without possibility of parole, is an effective deterrent that quickly and fairly resolves the judicial process so that survivors can move ahead with the enormous task of rebuilding their shattered lives. 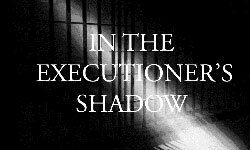 We advocate that the millions of tax dollars spent pursuing a few executions be redirected to programs that directly benefit homicide survivors and reduce the incidence of murder in our communities.